What a great day for the Crushers at the bucket collection in Breahead. We had a the perfect spot right in the centre of Soar, with a large area cordoned off where we could go through our paces in full view of the hundreds of passing public. All the players took turns playing and raising money on the buckets, raising a fantastic £568.59. It was a great outcome for the day along with some invaluable exposure for the club and the bonus of a free fitness session. 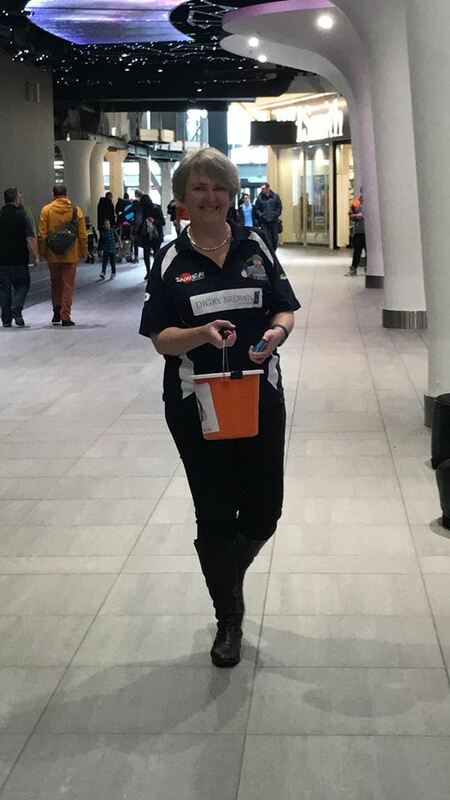 A huge thanks to all the volunteers, who kindly gave up their Saturday afternoon to help and a well done to our Fundraising coordinator, big Davie.